My Short & Tweet: cooking and baking addict, art lover, travel enthusiast, Marquette fanatic and 100% Milwaukee girl. 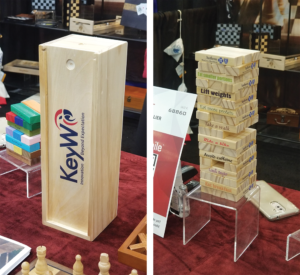 The Magellan Promotions team saw a lot of new products at the 2018 Promotional Products Association International Expo. After venturing through more than 1,200 booths and trying out all of our samples, the best of the best made our list of favorites for this year. Read on to learn more about these great products. 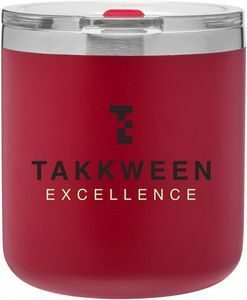 The Spark Tumbler is a 12-ounce, double-walled, stainless steel coffee tumbler with a trendy powder-coated finish that ensures your coffee will stay warm. We love the small size! This tumbler fits under the popular Keurig brand of brewers without having to move any filters and its double-walled insulation ensures that coffee stays warm for up to eight hours. If you’re looking to give away something that’s a little more unique than a ceramic mug, and will also reduce spillage because of its lid, this is a fantastic option! This 3-in-1 charger features micro USB, Lightning, and USB-C connectors with protective covers and a braided cord. These three cords can charge mobile phones, tablets, video game controllers, laptops, and more. Because this conversation never happens if this product is around. 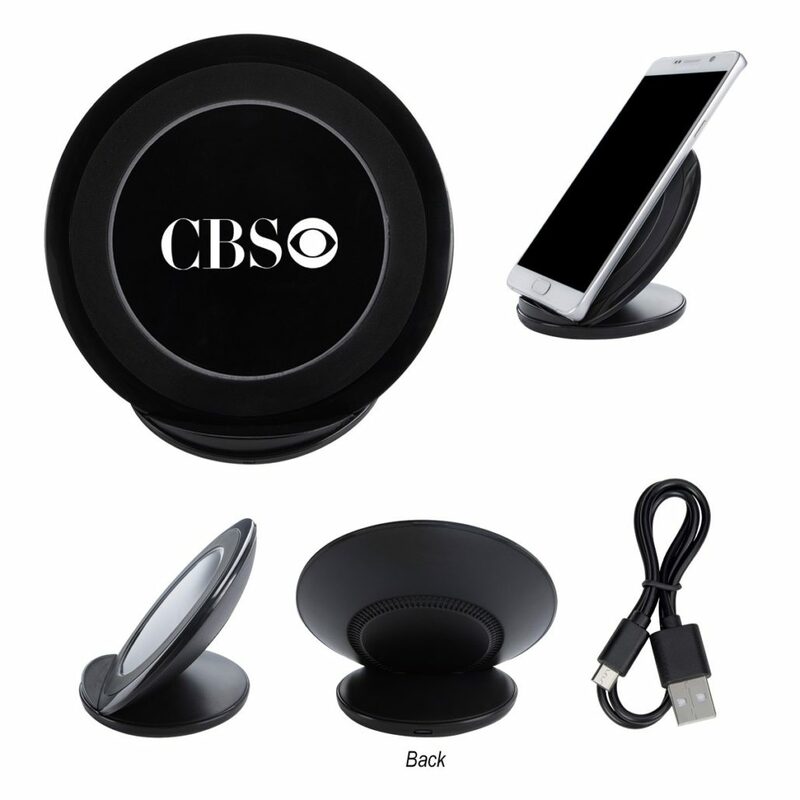 Starting as low as $2.59, this item is less expensive than other multi-chargers in the promotional product industry. One of the reasons it comes in at that price point is because the Lightning charger only charges iPhones and iPads, but doesn’t sync with your computer. That makes this charger perfect for when you’re on the go. 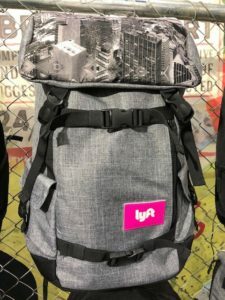 The Parkside Smart Pack is a fashion-forward backpack that allows you to get fun and creative with your ideas because it features two imprint areas, one of which is full color. There are tons of unique ways to use this pack because of the customization options and the no minimum order requirement. 1. This bag could serve as a unique recognition award. Let the recipient proudly show off their accomplishment (and your branding) when they take the Parkside Smart Pack with them in public. 2. Whether your office has two or 200 people in it, we think that this bag make would make a perfect gift for staff members. See the Parkside Smart Pack on our website. 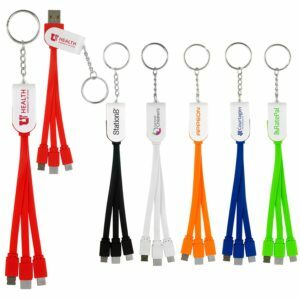 Power banks have been popular in the promotional product industry for a while, but have always needed a cord. Now that Apple has joined Samsung in featuring wireless charging, it’s become the de facto industry standard. 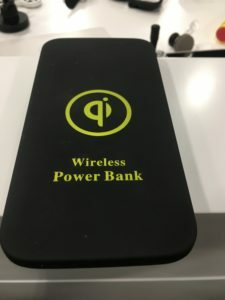 This power bank has followed suit in cutting the cord and letting phone owners charge their phone by simply resting their phone on top of it. No-cord charging with a USB backup. We live in a world where everyone is attached to their phone and new apps and features drain batteries faster than ever before. The constant battery drain is actually starting to have some major societal ramifications. No, seriously. Nine out of 10 people panic about their battery life dipping low and 32 percent of people will literally drop whatever they’re doing to try and find a charge. We love this wireless power bank because it takes away the panic that 90 percent of society has and does so in an incredibly simple way. All you have to do is just set your phone on top of it and feel the stress and anxiety evaporate. It’s highly unlikely that people already have a product like this, so show you’re ahead of the curve by giving this power bank out! The Spectraflex Luggage Tag is a flexible, colorful, and durable 3-D luggage tag that is custom molded to your design. Custom die cut and PVC plastic. 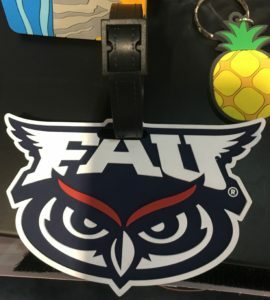 The Sprectraflex Luggage Tag is a unique option that will still look sharp after taking a beating in car trunks, luggage bins, and bag carousels. 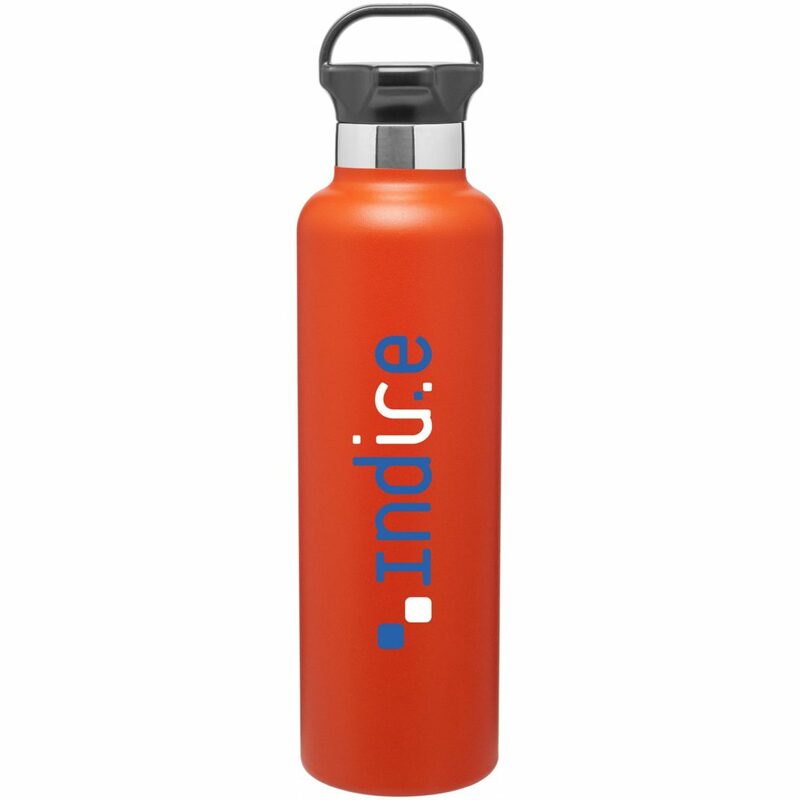 The custom die cut allows you to cut the tag into the shape of your company or school’s logo and reproduce even the smallest of details. 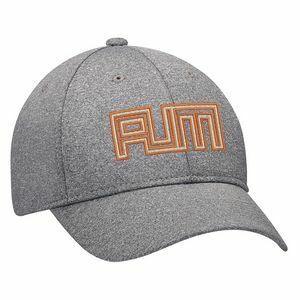 This performance cap features UV protection and moisture-wicking technology, but still retains a fashionable look. Performance material that doesn’t sacrifice style. Simply put, this performance cap just feels better. 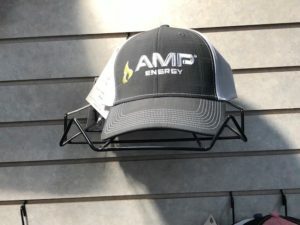 Unlike other performance caps that “slouch” on your head, this one has some structure to it, but remains incredibly comfortable. The cap is also stylish enough (as evidenced by it embracing the heather trend) that it can be worn in a casual setting as well. Cut Maps are laser cut aerial maps of specific areas. They have stock city-specific options, but their custom process allows for a map of any area that you can bring up on Google Maps. Not only can you put the map into a frame (pictured), but they also make great ornaments. 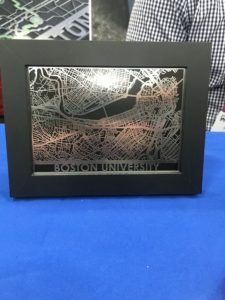 Alumni offices are always on the lookout for gifts that can tug on the heartstrings a little and a Cut Map does just that. People spend four (or more) of their most formative years on a college campus and during those years campus becomes home. Remind your alumni of “home” with a gift that they’ve never seen before. Contact us if you’re interested in learning more about Cut Maps. The Tumbling Tower Game is the promotional version of of the classic family game Jenga. Players remove blocks one at a time until the tower tumbles. Every single block can be imprinted on for no extra cost. It’s fun! But aside from the personal enjoyment we got from it, we absolutely love the plethora of decoration options. Just imagine how creative you can get with every block. You can share your company message, core values, corporate mission, branding, and anything else you can think of. Plus, who doesn’t love receiving a fun game that you can play with your friends and family? Knotty Tie Co. makes eco-friendly ties and scarves from recycled material in the United States. 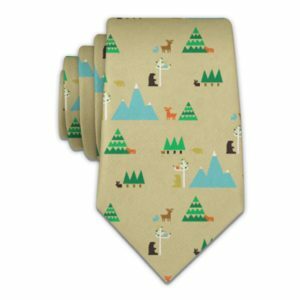 The ties and scarves are completely customizable and are sewn to specific cuts. Social mission and eco-friendly products. Knotty Tie Co. creates employment opportunities for refugees from war-torn areas of the globe like Syria, Somalia, and Eritrea. This includes jobs like designer, seamstress, and tailor; jobs that the refugees held in their home countries. Another thing they pride themselves on is teaching skills to single mothers while paying them a good wage and giving them ample personal time off. If you’re looking for a gift that has a powerful message behind it, this is it. You’re not just giving out a tie or a scarf, you’re helping refugees and single mothers earn a living by making outstanding products in the United States. 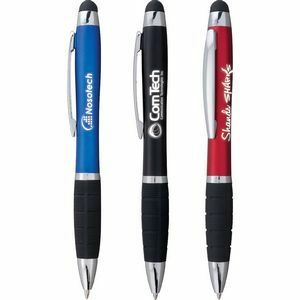 The Eclaire Illuminated Stylus Pen features a laser-engraved imprint that lights up whenever the stylus is pressed. 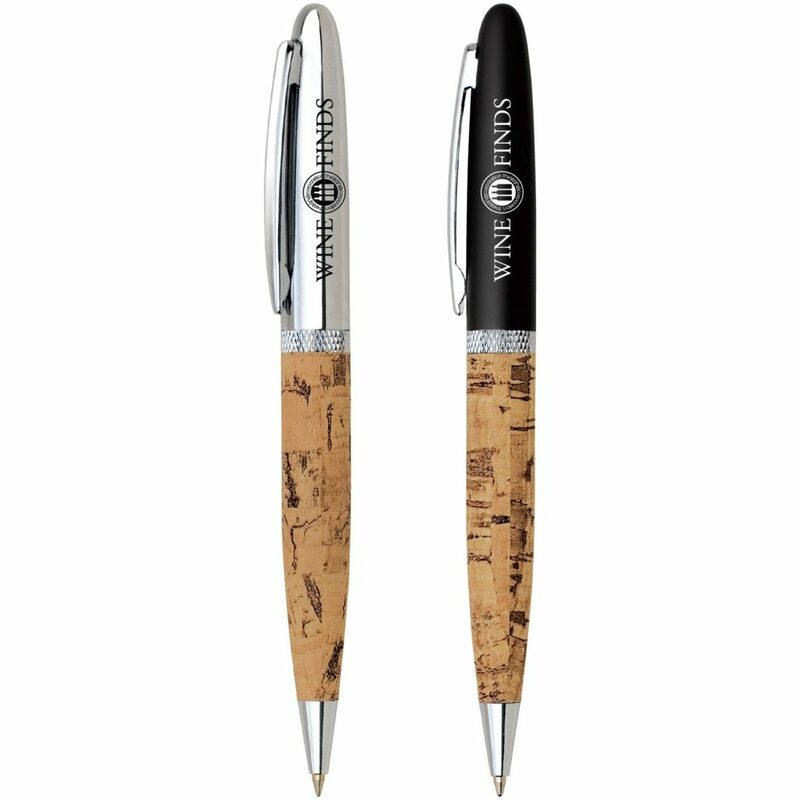 The pen also features a deeply textured rubber grip and an ergonomic design to ensure comfort when in use. There are tons of ways to have a brand imprinted on a pen, but this laser-engraved light is one of the coolest we’ve seen. The laser-engraved light wouldn’t mean much if the pen wasn’t comfortable and didn’t write well, but this pen does those both exceptionally. 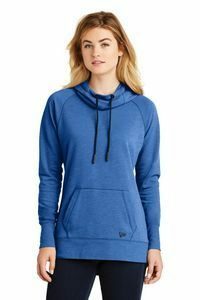 The New Era Tri-Blend Fleece Pullover features a trendy cowl neck while also combining style, comfort, and warmth. This cotton/polyester/rayon tri-blend includes longer length cover-stitched seams, 3-panel hood, and a heat transfer label for tag-free comfort. New Era recently unveiled its line of promotional apparel and we’re big fans. The cowl neck collar on hoodies is a new style that we haven’t seen before and adds a bit of flair to an already fashionable hoodie. This comfortable hoodie is the perfect “the office is just a bit too cold in winter” apparel option. Interested in one or more of these products for your 2018 branding plan? Contact your account manager, send us an email, give us a call at 414-831-0184, or fill out our contact form today!